Enriched with moisturizing and soothing botanical ingredients to soften and whiten skin. A luxurious soap with the fragrance of Aloe Vera deeply cleanses skin of dirt, leaving behind a refreshed, healthy looking complexion. Dark green colored box with gold ensembles. The soap inside is in paper packaging. I use this soap on my face and body. It creates smooth type of foam and I like how it feels on my skin. Its a good combo with my Redlips makeup remover because it gets rid of the remnants of my eyeliner which often irritates my eyes. My face feels squeaky clean after washing, proven by almost clean cotton when I use Micellar Water. A bonus is that there is an instant whitening effect. 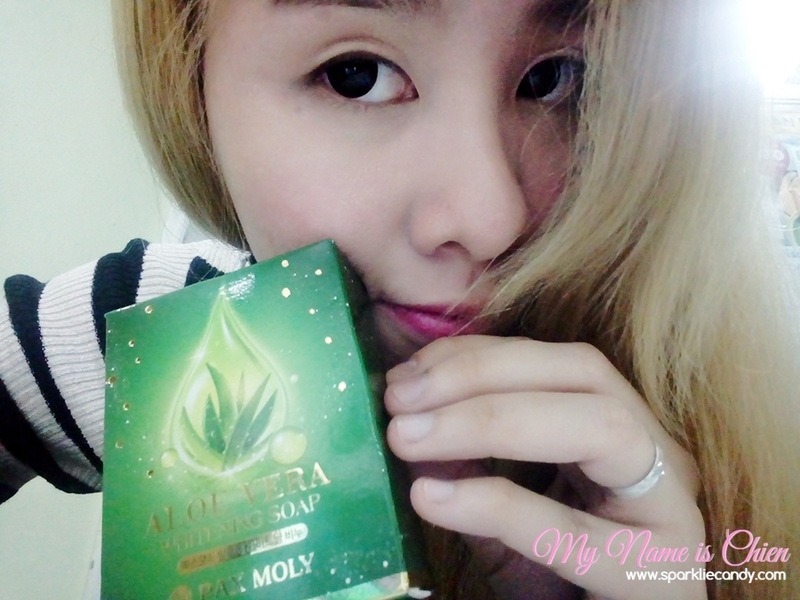 My skin is fair but I get a half shade lighter whenever I use Pax Moly Aloe Vera Soap. Inflamed pimples on my chin also became smaller after my first wash. My usual routine right now includes letting the aloe vera soap foam on my skin for at least 2 minutes or more. I get brighter, softer and healthy looking skin after. P150 for 100g soap available at Oh-some MNL's shop or shopee. One bar can last for a month with everyday use. Let the foam stay on your skin for 2-3 minutes before washing with water to achieve the instant lighter skin effect. Pax Moly Aloe Vera Soap doesn't have micro peeling effect so its best to use face towel, bath salt or loofah to scrub off dead skin cells. YES. I am on my 3rd bar! 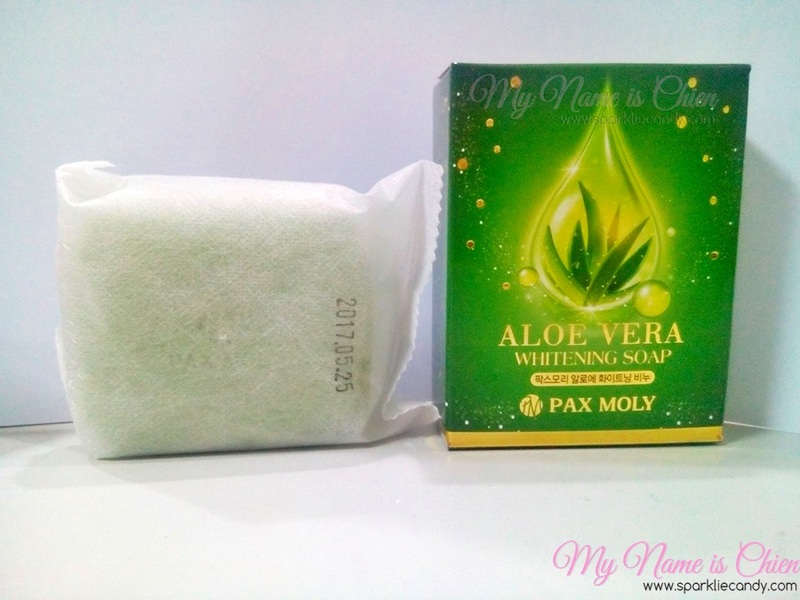 With PAX MOLY Aloe Vera Whitening Soap getting brighter and softer skin is just one wash away. I like that its all natural and organic. However remember its still always 'hiyangan' pa din when it comes to skin care and removing pimples. I suggest that you try one bar and see if its for you. If you aim for better, brighter and even skin you may try this soap. In terms of lightening there is no need to wait long because the effect is instant.